TAG – Tevere Art Gallery cultural association launches the 1st International Prize for Silver Printing from Negatives. 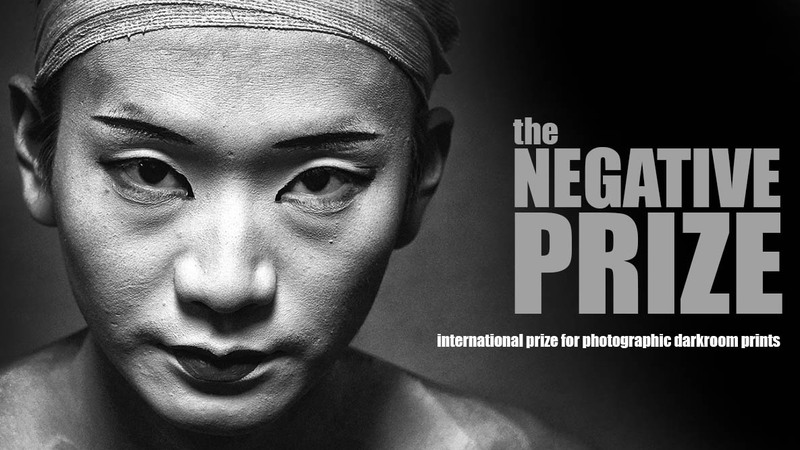 Named “The Negative Prize”, it aims to promote and enhance the arts of Photography and Silver Printing. If you have a passion for photography, but you love even more printing your photos at night in a darkroom – or even in your home’s bathroom – sign up for the selections. The contest envisages prizes aimed at the promotion and dissemination of this Art: an exhibition of all finalists in Rome, at the TAG – Tevere Art Gallery; darkroom sessions with Luciano Corvaglia, professional printer; and an evaluation of the prints that have passed the pre-selection stage. Honourable mentions will be given by the jurors. Single category: silver printing. Free theme. The contest is open to all photographers – professionals, amateurs and beginners; professional printers are, instead, not eligible to participate and win. Entrants must sign up as printers and authors of any individual photo submitted. Prints must be made using silver salts. There are no other limitations, not on the format nor on the materials that can be used. World-renowned theatre and movie director, novelist and screenwriter. Head of the documentary department of the Centro sperimentale di Cinematografia (Experimental film centre). Artistic Director at INDA (Istituto Nazionale del Dramma Antico – National Institut of Ancient Drama). One of the most accomplished Italian photographers, his work has received numerous awards, including ten World Press Photo and six Picture of the Year International awards. In the selection stage, the maximum score for each print will be of 100. All prints receiving a score of 95/100 or more will be get the “first place”. There are no limits to the number of winners. Using the form, submit the photos of the prints and negatives (please follow the instructions on the form’s webpage). Once fully signed up (your entry will be activated upon receipt of the payment), you’ll enter the preselection stage. The preselection, personally carried out by Luciano Corvaglia, will by exclusively based upon the files submitted. The results of this stage will by notified to you within 10 days. You will also receive suggestions on how re-print those images which won’t have passed the preselection. If you wish to do so, you’ll be able to re-print them incorporating the suggestions received, and enter them again in the competition with a new submission. Prints chosen to progress to the selection stage must be couriered, or delivered personally, to TAG – Tevere Art Gallery by 7 June 2019. The selection will be carried out by an exceptional board of judges, comprising the Artistic Committee of TAG – Tevere Art Gallery. Each criteria will be awarded a score between 0 and 20. Scores for each print will be emailed to all entrants at the end of the contest. Within 10 days from signing up, you’ll receive an email with the results of the pre-selection made by Luciano Corvaglia. TAG – Tevere Art Gallery cultural association launches its 1st International Prize for silver printing from negatives. Named The Negative Prize, it aims to promote and enhance the arts of Photography and Silver Printing. The contest envisages prizes aimed at the promotion and dissemination of these arts: an exhibition of all winning prints in Rome, at the TAG – Tevere Art Gallery; darkroom sessions with Luciano Corvaglia, professional printer, for all finalists; an evaluation of the prints that have passed the pre-selection stage.